The kid tells me that, at age 23, he’s bummed that he’s not scoring with chicks, that he thinks his disability is the hindrance. And, I tell him that, for the most part, he’s right. It’s evolutionary psychology, I add. 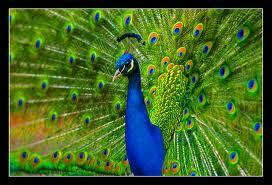 Most people in their 20s are all about the superficial – peacock feathers attracting each other in the most primitive ways. But, you, my friend, have to be in it for the long haul, where you’re patient enough for the Scales of Justice to tip your way – and they will. Right now, these chicks are running scared on instinct, they’re looking for the stereotypical suitable ones – and that’s OK for the time being. They’ll find an average guy who’s attracted to them, and they’ll call him the one. Maybe he’ll have a high-school diploma or a bachelor’s degree, and he’ll have a secure but routine job, pulling in $30,000 or $40,000 per year. But, it won’t be perfect – not the guy, or his job, or any of it, the relationship. But, they won’t see that for a while – they rarely do at that age. However, at some point, the bills pile up on the kitchen counter, babies are born, and it’s hard to get ahead, even though she works, too. By 30, it’s all one big, daily reality check, dreams not fully realized but painfully dashed when contemplated. And, all over what? Peacock feathers when they were 23. But, you – you’re different. You’re not about peacock feathers or mediocrity in your 20s. You’re going to use this time to build your character, nail a Master’s degree on the wall, build an esteemed career, become a man of the world, where you’ll read Kafka, shave to Rachmaninoff, and visit Madrid, Paris, maybe Rome. And, when you’re 35 or 40, the Scales of Justice will absolutely tip your way. Women – not chicks – will admire you for your brilliance, and they’ll want to listen to you because you truly listen to them. They’ll be turned on by your ability to command a presence in a room, how others respect you, how you’re the kind of role model that a father should be – where it’s no longer about peacock feathers and disability, but that you can offer what few other guys can: A fascinating view of the world that she’s never seen. My daughter is in love with feathers and wanted to put a feather in her hair since she is so into native american culture. Beautiful feather showed up just in time for her birthday. 07 Dec 08, 2011 3:36 pm Lizzie I can’t describe it, but I can never get my trees to look that good! It looks like you used a lot more lhgits than I usually do and the tree has a nicer shape. My husband comes up with these big fat monsters that take over the room. The proportions are perfect in this room all of your ornaments and the oranges are so simple and natural. great ideas! !